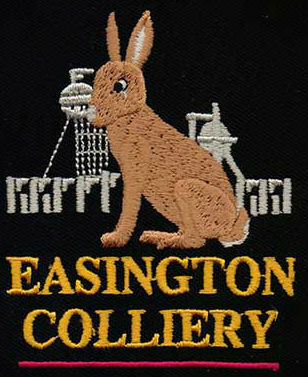 Easington Colliery Band was founded in 1915. Players with band experience were encouraged by the management to come from the West of Durham to work at the colliery and play in the band. The band was supported financially and run by the joint board of unions, until the start of World War II. 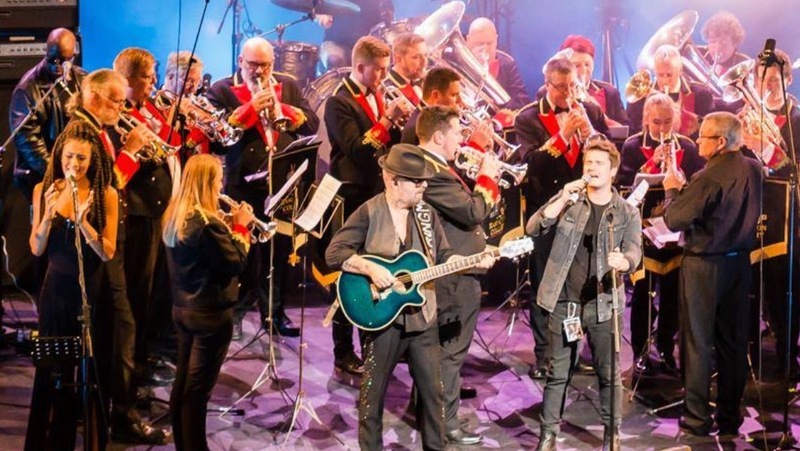 The band played for community activities, such as dances, concerts, and competitions. For the duration of the war the Easington Colliery Youth Band became the National Fire Service Band, which was eventually ‘demobbed’ in 1945 to become the Easington Public Band. In 1956 the Public Band and the Colliery Band amalgamated to become the Easington Colliery Band as it is today. April 1993 witnessed the end of an era when Easington Colliery finally closed. 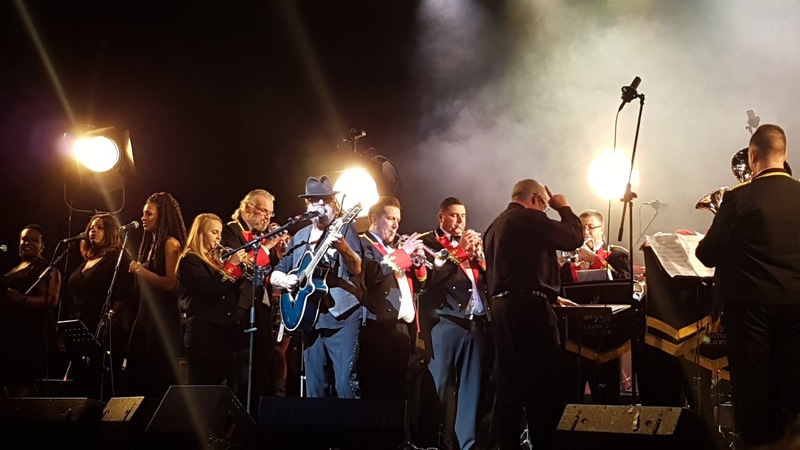 The band is now totally self-supporting and relies on the work put in by the band members at concerts throughout the year to raise the funds to keep the band alive. The band is still based in Easington Colliery in the old colliery pay office opposite the Memorial Gardens, which is on the site of the old colliery. The building is the last remaining evidence of the pit. One of the most frequently asked questions from the public when we play, is why we have a ‘rabbit’ as our logo. Firstly it’s not a rabbit, it’s a hare, and secondly you need to know the legend, so here we go. It is said that the men of Castle Eden enjoyed racing greyhounds in the fields round about. One year a strange hare began to spoil their sport by leading the dogs a merry dance by crossing their path and turning them from their proper game. It never once failed to deflect the hounds, drawing them after it into Castle Eden Dene. The men wished they could catch the hare but it always evaded their most cunning snares. Eventually they consulted an old man skilled in healing horses and cows, hoping that he could help them. He told the men to take with them a bloodhound rather than a greyhound. The next day they did as the old man said and let loose the bloodhound. Soon the hare and the hound disappeared into the dene. Just as the men had given up hope they saw the hare running up the other side of the dene with the hound close behind. The hare had been forced out of its refuge. The men mounted their horses and crossed the dene just in time to see the hare running towards Easington Village. They drew close enough to see that the hare was limping and the bloodhound was gaining on it. On they went until they reached the village green. The hare crossed the green and headed towards a little stone cottage at the edge of the green. There was a narrow gap at the bottom of the door through which it bolted. As it did so the bloodhound caught one of its hind legs, but the hare shook it free. The men tried the door but found it was locked. They knocked but nobody answered so they burst open the door and rushed inside. But there was no hare to be seen. Instead they saw an old woman sitting before the fire bandaging her wounded heel. Nobody spoke, but the men knew that her witchcraft had been found out at last. They left her home and never again did the mischievous hare spoil their sport.